Can businesses fight back against the surge of ransomware in 2018? Beware the 'New Mafia' of cybercrime, Malwarebytes study warns. 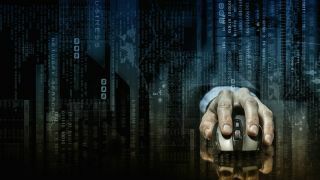 Cybercrime has grown in scope and severity to the extent that there are now a number of parallels that can be drawn between today's organised cybercriminals and the Mafia gangs of the 1930s according to a new report from Malwarebytes. The security company has unveiled its new report, The New Mafia: Gangs and Vigilantes – A Guide to Cybercrime for CEOs, to help organisations better understand the current state of cybercrime so that they might be able to rise up and take a stand against it. Malwarebytes discovered that despite the severe financial and reputational risks that cybercrime poses to businesses, many leaders still greatly underestimate the vulnerability of their own organisations. The number of ransomware attacks detected by the company from the beginning of this year to October have already surpassed the total figures for 2016 by 62 per cent. This illustrates just how ambitious cybercriminals have grown and it is finally time for businesses to stand up for themselves and Malwarebytes suggests they do so by acting as 'vigilantes' through increased collective awareness, sharing their knowledge and deploying proactive defences. The stigma placed on businesses that have fallen victim to a cyberattack must be the first thing to change and instead of shaming them, organisations must engage them and actively work together to fix the problem. By better understanding the current cybercrime landscape, businesses may be able to unite to turn the tide before things get even worse.